← What is a Commuted Sentence? Within the criminal justice system, there are laws at both the state and federal levels that prohibit the possession, sales, and manufacture of illegal substances. Common illegal substances include drugs like marijuana, cocaine, heroin, and methamphetamine. 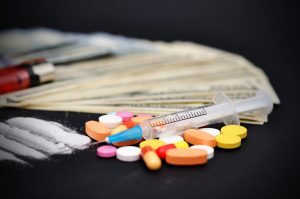 If you are facing criminal drug charges for possession, trafficking, or manufacturing of an illegal substance, you will soon be meeting with your attorney. And as you start building your defense, you will likely come across several terms and legal jargon that may confuse you. Continue reading to learn some common drug crime terminology you can expect to come across during the criminal justice process. If the use and distribution of a medication or drug is governed by law, it is classified as a controlled substance by federal and state governments. These governments categorize all the different types of controlled substances by assigning them to a certain “schedule.” The different drug schedules represent the seriousness, danger, and risk of addition of a certain drug. The most serious drugs are Level 1 substances, like Marijuana and Heroin. The least serious are Level 5 drugs, such as codeine. Engineering, cultivating, or producing an illegal substance is called drug manufacturing. And it is highly illegal in the United States. Cultivation is the process of growing, possessing, or producing naturally-occurring elements for the purpose of making an illegal substance. Chemically-produced drugs that are developed in labs include LSD (acid), cocaine, and meth. The most common drug crime in the United States is possession. Being in possession of an illegal substance is against the law. This means a person cannot have illegal substances anywhere on their person, including underneath clothes and inside bags and vehicles. Possession charges can get tricky since there are many loop holes in the law. It is important to have an experienced criminal defense lawyer manage your case professionally. Many people arrested under the influence of an illegal substance are court-ordered to attend a diversion program. Diversion programs are meant to teach people about the dangers and corruptions associated with using illegal drugs. Often times they are ordered in place of jail time. Diversion programs include drug and alcohol abuse classes, victim impact panels, community service, and more. 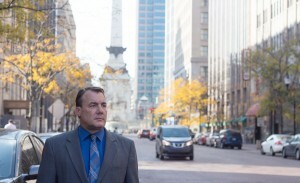 Call David E. Lewis, Attorney at Law, at 317-636-7514 for reputable drug crime lawyer in Indiana. He handles a wide range of felony and misdemeanor criminal charges for both adults and minors. He also offers free initial consultations, so be sure to schedule yours today! Just call 317-636-7514 to speak with an Indianapolis criminal defense attorney you can trust. This entry was posted in Drug Crimes and tagged drug crime lawyer Indianapolis, felony drug charges, Indianapolis Criminal Defense Attorney, misdemeanor criminal charges. Bookmark the permalink.